Donald Trump's state visit to the UK could happen later this year, according to reports. Sources close to the US President claim he will be visiting London on an official visit some time within the next 12 months. An official invitation for a state visit has been accepted and was expected to happen this year, although Downing Street sources are coy on when exactly it will take place. 'Any discussion about a working visit was absolutely separate to the State visit, an invitation for which has been both given and accepted,' a source told the Daily Express. 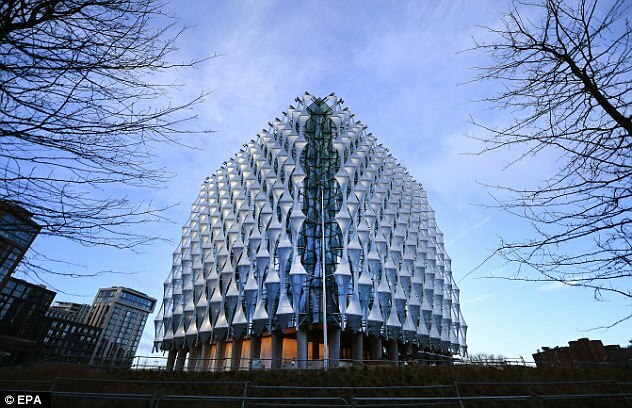 US diplomats in the UK were surprised when Trump tweeted he would not be visiting the UK next month for the official ribbon-cutting ceremony to open the new £750million US Embassy in Nine Elms. 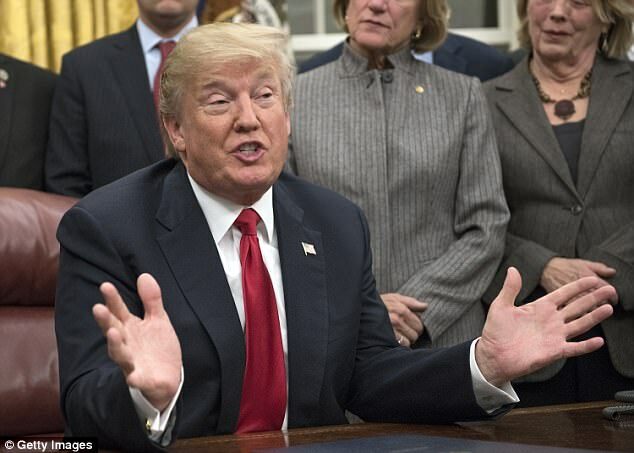 Trump said he was was 'not a big fan of the Obama Administration having sold perhaps the best located and finest embassy in London' - despite the fact the deal was agreed upon by the Bush administration. 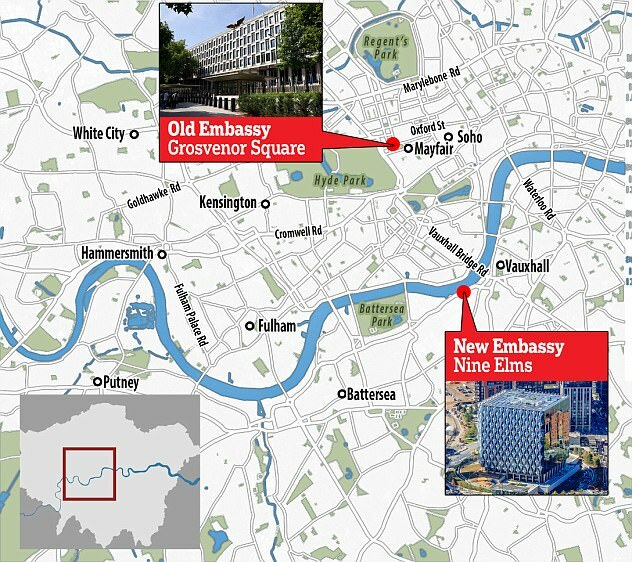 He also claimed the move from Grosevnor Square to Vauxhall put the Embassy in an 'off location'. It was also revealed that Trump snubbed the trip to the UK as he felt he had 'not been shown enough love' by the British government. THe source told the Sunday Times: 'He felt he had not been shown enough love by the British government. 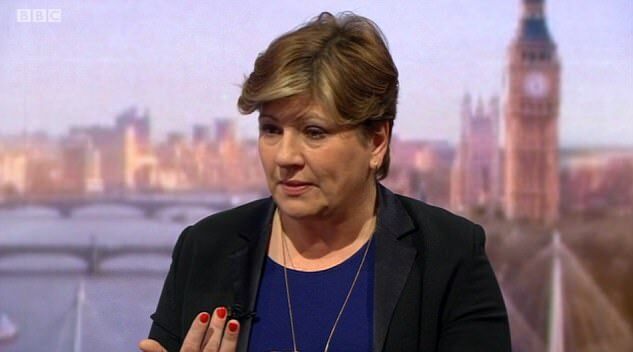 Ms Thornberry said: 'What kind of visit did he think he was going to get? Did he think he was going to visit in a gold coach? Earlier this week, Boris Johnson and Theresa May clashed over Donald Trump's cancelled UK visit in a row over the real reason he called off the trip. London Mayor Sadiq Khan was among those who commented saying it was clear that Mr Trump had 'got the message that many Londoners' did not want him here. It led to the Foreign Secretary suggesting that Mr Khan had scuppered the visit, branding him a 'puffed up, pompous popinjay'. But minutes before, a 10 Downing Street spokesman had insisted that Theresa May did not blame the London Mayor for the cancellation. Mr Johnson tweeted at about 11am: 'The US is the biggest single investor in the UK — yet Khan & Corbyn seem determined to put this crucial relationship at risk. 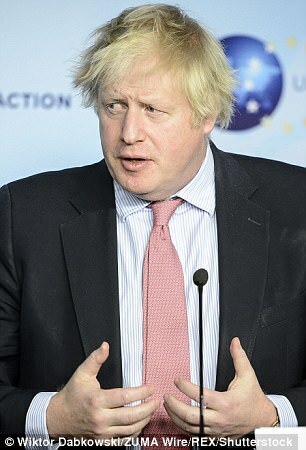 Then in a sharp contradiction to Mr Johnson's suggestions, a spokesman for Number 10 said the 'special relationship' had not been damaged by the Mayor's tweets. 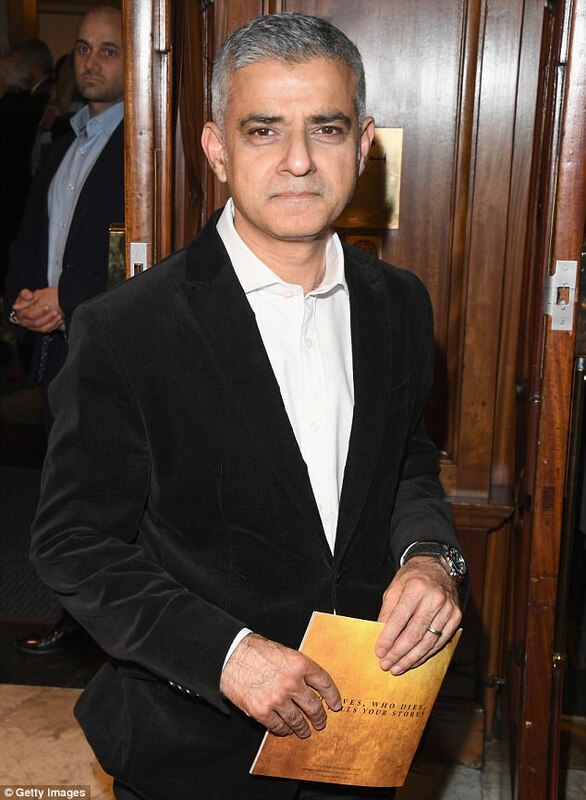 Mr Khan had earlier said in a statement: 'It appears that President Trump got the message from the many Londoners who love and admire America and Americans, but find his policies and actions the polar opposite of our city's values of inclusion, diversity and tolerance. 'His visit next month would without doubt have been met by mass peaceful protests. The row over the visit, which sparked headlines around the world, threatens a new crisis in Britain's relations with the Trump administration. 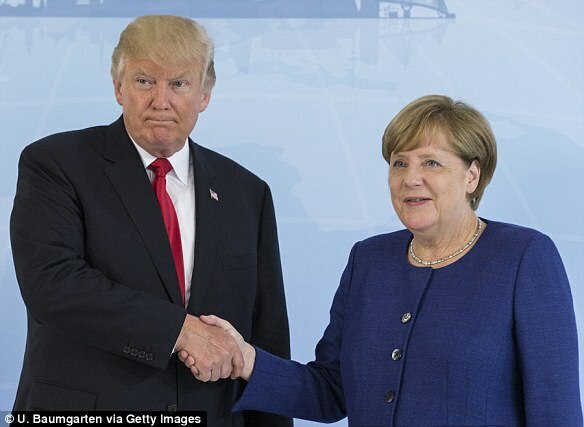 One senior source suggested Mr Trump cancelled because he was unhappy about the arrangements and the scale of the visit. 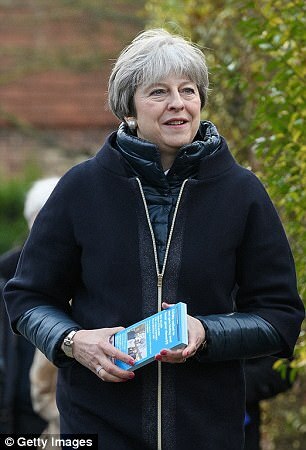 The reversal comes despite Mr Trump telling Theresa May, who was seen campaigning for Sutton and Cheam MP Paul Scully for the vote in the London local elections in May today, that he would come to Britain in the New Year last month. 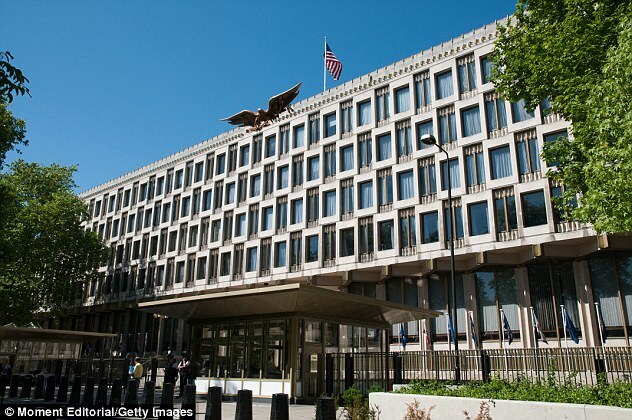 Preparations were advanced for a 'working' visit to officially open the embassy, but the Mail understands this role will now be performed by Secretary of State Rex Tillerson. Mr Trump was also scheduled to hold talks with Mrs May in No 10, with February 26 and 27 marked in the diary. Downing Street had hoped to confirm the dates this week. The President was not due to meet the Queen until a full state visit at a later date, and a second source said the lack of 'bells and whistles' and royal involvement next month visit may have discouraged him. Former Ukip leader Nigel Farage, an ally of the US President, suggested that concerns about protests may have been the real reason for the visit's cancellation. 'It's disappointing - he has been to countries all over the world and yet he has not been to the one with whom he is closest,' Mr Farage said. Speaking on BBC Radio 4's Today programme, he accused London Mayor Sadiq Khan and Labour leader Jeremy Corbyn of supporting protests. It has also now emerged that Donald Trump faces the embarrassment of not being invited to the royal wedding this year. The US President is notoriously sensitive to snubs and might have expected to be asked to attend Prince Harry and Meghan Markle's big day in May. The potential snub is a second setback to Mr Trump following the cancellation of a planned visit to Britain next month. The President was welcomed with a bouquet of flowers at King Khalid International Airport in the capital Riyadh. 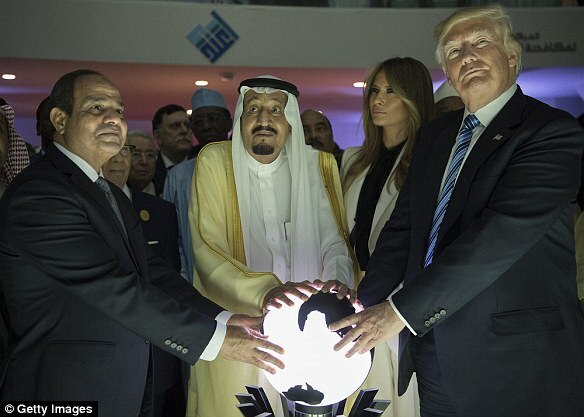 As he arrived, he was flanked by horsemen carrying Saudi and American flags. He even held King Salman's hand as he was welcomed by the Saudi Royal Court. Prime minister Benjamin Netanyahu and his wife Sara welcomed the President and First Lady Melania to their 'palace'. 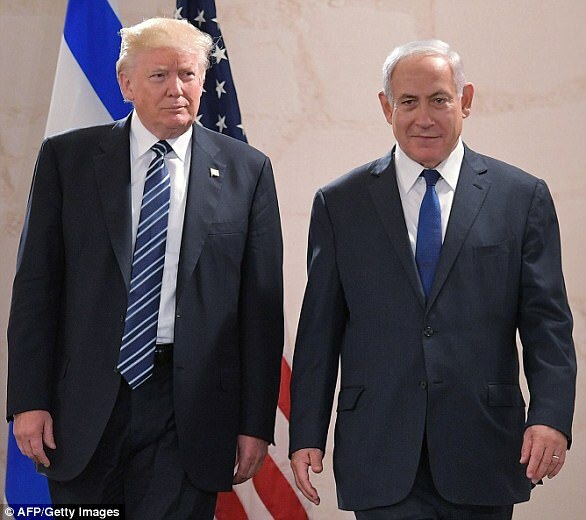 Mr Netanyahu said they had the house painted especially for the visit, and he gave the Trumps a 150-year-old bottle of wine as a gift. 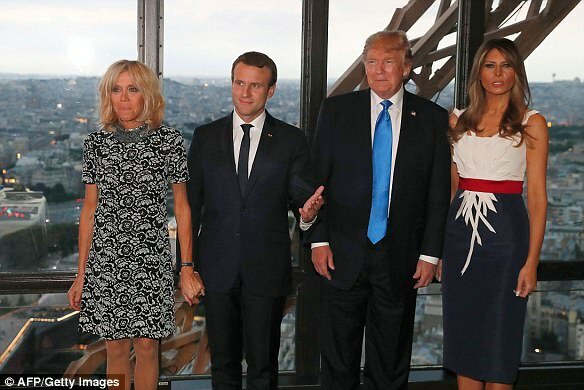 Mr Trump's 24-hour visit was topped off with a military parade on Bastille Day. Mr Trump, who was guest of honour at the celebrations, enthusiastically applauded the soldiers and tanks on the Champs Elysees. 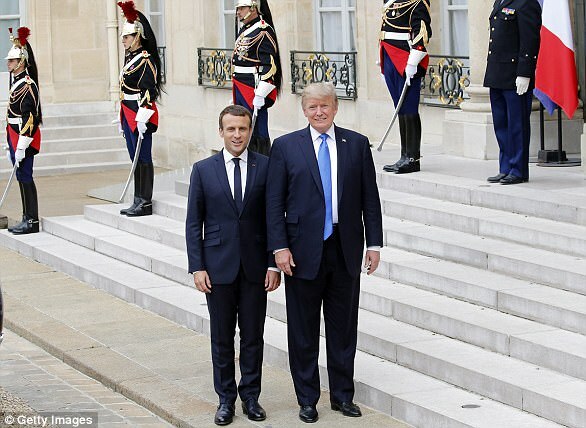 He later shared a 29-second handshake with French president Emmanuel Macron. 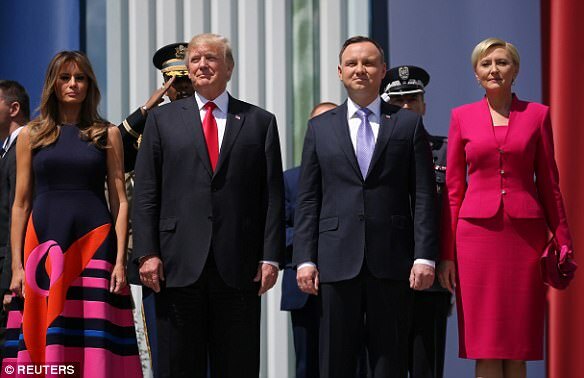 An enthusiastic reception as people were bussed in to Warsaw and chanted 'Donald Trump' throughout his speech. The reception was not as warm, with protesters lining the streets as the President attended the G20 summit. 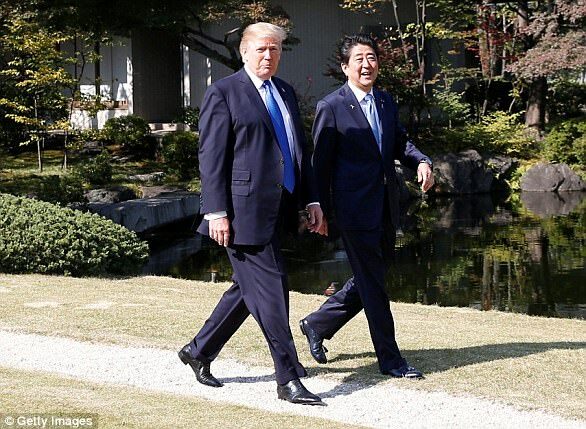 Mr Trump was welcomed with an elaborate palace ceremony and a round of golf with one of the country's champion players. 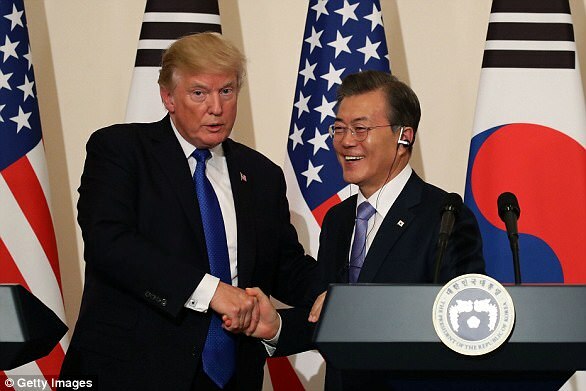 President Moon Jae-in repeatedly invoked Mr Trump's campaign slogan by saying he was 'making America great again'. 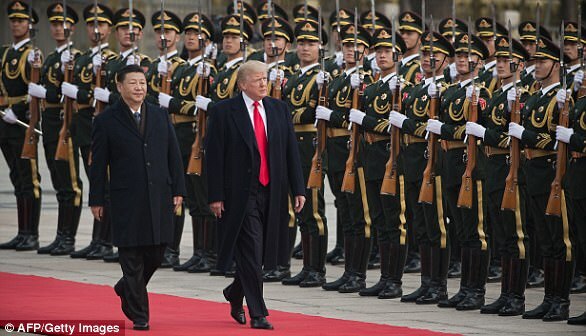 President Xi Jinping personally showed Mr Trump around the Imperial Palace. 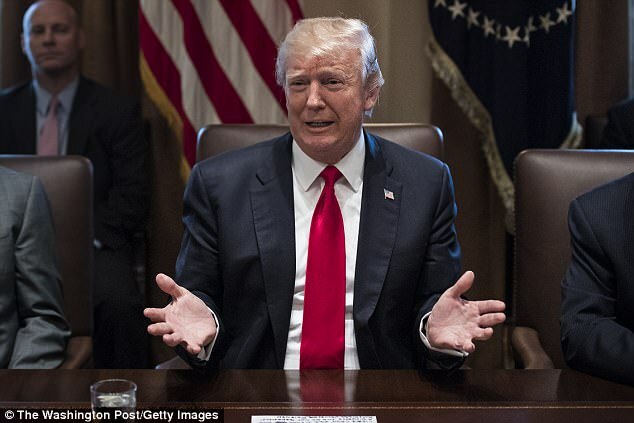 Mr.President make sure you cancel any visas for the Royal Family and ANY British politician and or businessman or entertainer who wants tocome to the US to make money !You people are acting like Lobsterbacks again.